Thailand Visa Do I Need One? Hi everyone, today we’re going to talk about Thailand visa and exemption stamps! All you need for any short trip to Thailand is an exemption stamp it lets you stay in Thailand for up to thirty days and is put in your passport at immigration control when you arrive in the kingdom. Yep, you heard that right! People from a large number of countries including Australia, Austria, Bahrain, Brunei, Belgium, Canada, Czech, Denmark, Estonia, Finland, France, Germany, Greece, Hong Kong, Hungary, Iceland, Indonesia, Ireland, Israel, Italy, Japan, Kuwait, Liechtenstein, Luxembourg, Malaysia(unlimited), Monaco, Netherlands, Norway, New Zealand, Oman, Philippines, Poland, Portugal, Qatar, Slovak, Slovenia, Singapore, South Africa, Spain, Sweden, Switzerland, Turkey, UAE, United Kingdom and United States will not need to worry about getting a Thailand visa before coming to Thailand. Getting permission to enter and stay for thirty days is as easy as entering the country through immigration control at any of Thailand’s international airports or borders exceptions apply. Want to stay a little bit longer than thirty days? You’re in luck! 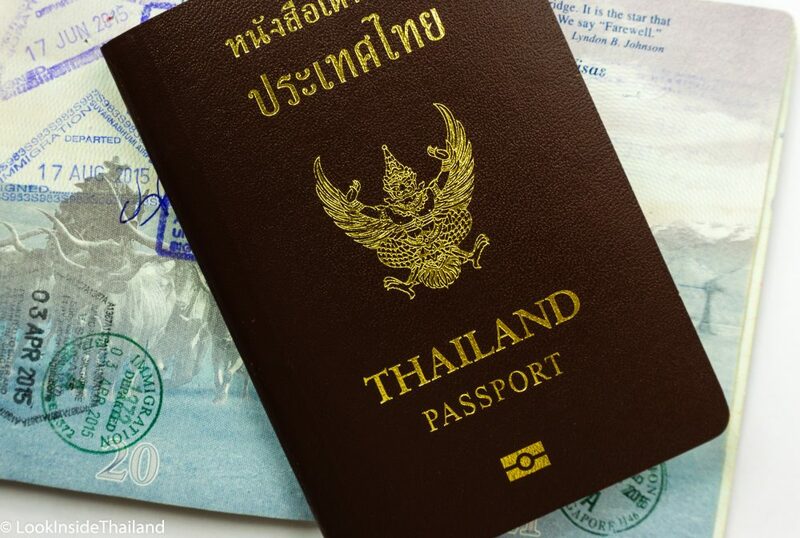 Exemption stamps can be extended one time per stay, for thirty more days, by visiting a Thai immigration office, completing the required forms and paying a small fee of 1900 baht (about $55 US). With a Thai immigration office located in each and every province in Thailand, you’re never going to be too far from someplace that can extend your stay. However, some offices are better to go than others. 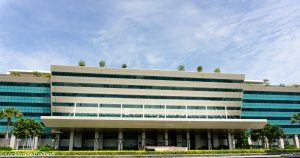 If you extend your stay in Bangkok, you will have to go to the northern area of the city and visit the Chaengwattana immigration office. Come to the office early as this is a very busy immigration office. The same goes for other tourist hotspots, including Pattaya, Koh Samui, and Chiang Mai. If you’re traveling into an area that’s a bit off the beaten path, getting your stamp extended is a breeze! The sleepy, smaller immigration offices around Thailand are quite often empty. Many times when you arrive you will find there isn’t even a line at all. If you go to one of these less busy immigration offices, getting in and out in under twenty minutes is certainly not out of the question. It’s definitely a good idea to get your stamp extended if you have the opportunity while traveling in any area that has fewer tourists. If you plan on travelling into Thailand through a land border, there are a few important things to know. You can only receive two exemption stamps per year when entering from Cambodia, Laos, Malaysia or Myanmar by land. If in the last twelve months, you have come to Thailand on an exemption stamp, make sure that the next time is by airplane! This information is up to date as of July 2017, please check the Royal Thai Embassy website for any updates. What countries can get ‘Visa on Arrival’ to Thailand? Visa on arrival for many countries only get 15 days here is a list. Important: It is NOT possible to obtain Thailand Visa on Arrival to enter Thailand via any Thai/Cambodian checkpoints. Check the Royal Thai embassy link http://www.thaiembassy.org/main/ for more information about available Thailand visa options for your country. Please follow the dress code! Thailand immigration office has a dress code. No tank tops, see through shirts, half shirts, tight pants, shorts pants, mini skirts, and sandals. Please dress politely when visiting. If you overstay your exemption stamp or visa, you will face a 500 Baht fine for every day you stay over your stamp out date. You will need to pay the fine before you’ll be allowed to leave the country. Overstaying more than ninety days can have some serious consequences, so please do not do it. There you go! Now you know everything you need to know about exemption stamps, how to stay in Thailand with no paperwork for up to thirty days, and how to stay for up to sixty days with just one quick and easy trip to any Thai immigration office. If you’re thinking about staying in Thailand for longer than sixty days, and you’re looking for some more information about the other types of visas available, what you need to do to qualify for them, and some easy tips and tricks to really streamline the visa process, you can find all the information you need in the visa guide PDF available for sale in our store. Get answers to all your questions, while supporting Look Inside Thailand and helping us continue to create more great content, check out our PDF visa guides today. 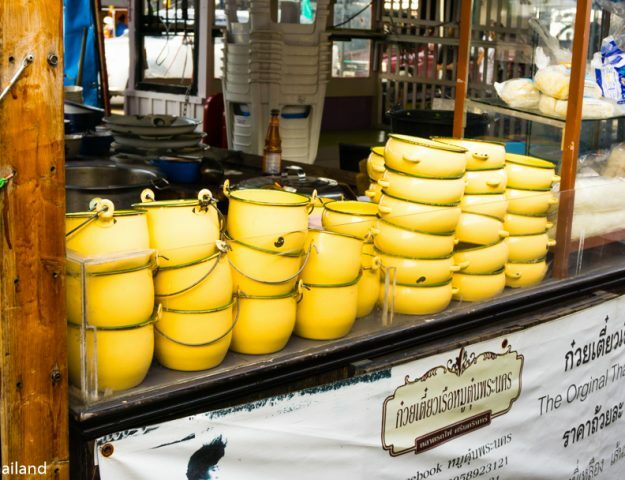 Now that you know how easy it is to visit Thailand, start planning your adventrue!